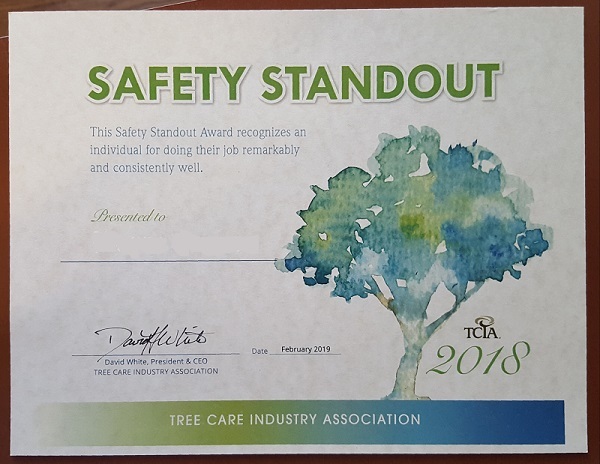 At the recent TCIA Winter Management Conference, held in St. Kitts in February 2019, two teams from Caldwell Tree Care were recognized as "Safety Standouts". These awards are presented to the individuals who were on the recognized teams, so each employee received one of the certificates, personalized with their name. The two teams recognized were the ones involved in our two double-crane jobs in 2018 - at Emory University and in Florida.